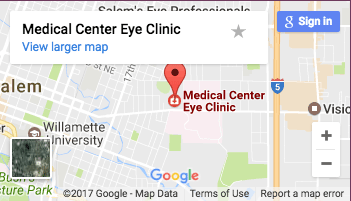 Dr. Berzins established his Salem, Oregon practice at Medical Center Eye Clinic in 1985. He was born in New York City shortly after his parents emigrated from Latvia, and he grew up in South Dakota and Minnesota. A Stanford University graduate, John interned at Pacific Medical Center in San Francisco, and then worked as an emergency room physician for three years. He completed his ophthalmology residency at the University of Iowa in 1983, and was in private practice in Iowa for two years. Past President of the Oregon Academy of Ophthalmology, he now serves as an Associate Examiner for the American Board of Ophthalmology, as well as the Honorary Consul of the Republic of Latvia in Oregon. John is now semi-retired from practice and appointments will experience limited availability moving forward as he takes more time to go fishing, traveling, and indulge in family activities with his wife Dace, their children, and grandchildren. Dr. Berzins co-manages surgical procedures with Medical Center Eye Clinic surgeons. Dr. East was born and raised in Salem, Oregon. He graduated from South Salem High, and went to the University of Oregon. He earned his medical degree at Penn State University College of Medicine in Hershey, Pennsylvania. There he completed his internal medicine internship and his ophthalmology residency. Marc returned to Salem to join Medical Center Eye Clinic in 2006. He provides routine, medical, and surgical care of the eye for patients of all ages. He serves as Medical Director of Salem Laser and Surgery Center where he specializes in state-of-art surgery, including correction of astigmatism and image-guided, laser cataract surgery. Marc and his wife, Amy, have four children. He enjoys running, outdoor activities, attending Oregon Duck sporting events, and spending time with family. Dr. Lapour grew up in Salem, Oregon and graduated from North Salem High. He earned his medical degree at Loma Linda University School of Medicine in California. He served as Chief Resident while he completed his ophthalmology residency at the University of Missouri. Shaping his practice philosophy, Dr. Lapour was fortunate to participate in international mission trips in Nepal, India and Belize where he assisted in various surgical procedures. Dr. Lapour has been practicing in Salem at Medical Center Eye Clinic since 2012. He has a large pediatric and adult practice. His practice includes routine medical eye care, specializing in cataract surgery. Treatments for Glaucoma, cataracts, diabetes, cornea, retina, hypertension, dry eye and other eye diseases. Dr. Dodd is an Oregon native, born and raised in Canby. After graduating from the University of Oregon in 1997, he spent time in Eugene working as an ophthalmic technician. Dr. Dodd has a passion for donating his time and talents, and was fortunate to participate in two overseas eye missions to Thailand in 2000 and 2006. The experiences were, in large part, what led him to pursue a career in ophthalmology. 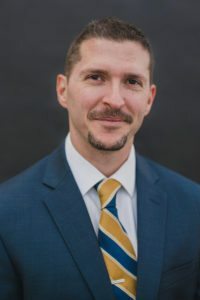 After graduating from Midwestern University College of Osteopathic Medicine in Phoenix, Arizona he pursued his post graduate training in ophthalmology in Detroit, Michigan where he finished his residency as chief resident. He returned to Eugene, Oregon in 2011 and met and married the love of his life. He practiced there for almost four years before coming to Salem. He and his wife, Kristen Lentell Dodd, made the move to Salem in early 2015 to be closer to family as they start their own. John and Kristen both love to travel and hope to continue to participate in third world mission work. They enjoy being active outdoors together. They are sports enthusiasts and John is a self-proclaimed Oregon Duck fanatic! The Dodds visit northwest restaurants and wineries whenever possible. Dr. Shupe was raised in North Carolina and completed his undergraduate education at the University of North Carolina at Chapel Hill. He earned his optometric degree at the Southern College of Optometry in Memphis, Tennessee and received training at the Memphis VA Hospital. Prior to joining Medical Center Eye Clinic in 2018, Dr. Shupe practiced in northern California for eight years. There, he became primary practitioner at a former ophthalmology practice, established a dry eye specialty clinic and helped bring eye care to a high-risk, poverty-stricken population with varied ocular diseases. In addition to his clinical duties, Dr. Shupe was significantly involved in organized optometry, serving as President of the Sacramento Valley Optometric Society and sitting on multiple committees for the California Optometric Association. Dr. Shupe also regularly presents lectures on varied topics at continuing education and corporate events around the country. In his leisure time, Adam enjoys racquetball, fencing, skiing, cheering on his favorite teams and traveling across the globe with his lovely wife, Diana. Management of: ocular surface disease, ocular allergy, glaucoma, diabetic retinopathy, ocular manifestations of systemic medications (i.e. plaquenil), retinal disease, accommodative disorders and other eye diseases. Dr. Shupe co-manages surgical procedures with Medical Center Eye Clinic surgeons.